!! 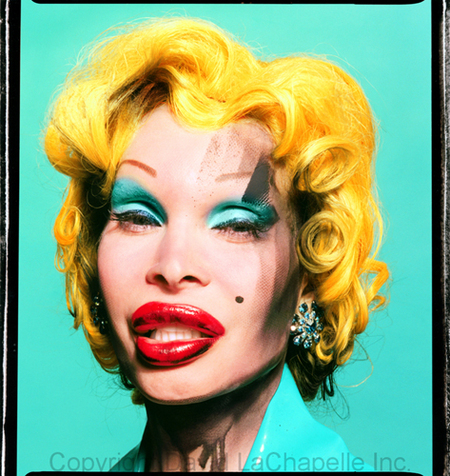 OMG I can’t wait: Amanda Lepore tonight !! I’m going to see AMANDA LEPORE (LINK NSFW) in Toronto tonight. I haven’t looked forward to a night out in a while but this is definitely one to get excited about. Have a look at an interview with Amanda from The Insider in 2006 after the jump. She seems like such a sweet lady, too bad The Insider is so dramatic and ridiculous in their exploits. Also, CLICK HERE to see the Armani commercial that David Lachapelle directed starring Amanda and a naked Ryan Phillipe running around a cold and colourful New York. 7 Comments on "OMG I can’t wait: Amanda Lepore tonight"
She’s totally living it the way she likes it. People who make rude comments about her, totally are not. In my opinion. Live and let live. And she seems real in spite. More power 2 you girl. She’s yesterday news…Sorry to say she does looks like an ugly freak…. I heard she tone down her craziness. Did she? If so, I will be disappointed. I love her when she go nuts with a lipstick. AMAZING! Well… she always have been an amazing gal. At first, her looks sort of frightened me, but she actually seems kinda cool and fascinating. It scares me…please post something so I won’t see it when the site first opens! What happened to the latest entry? I love Amanda so much. She’s an amazing woman.